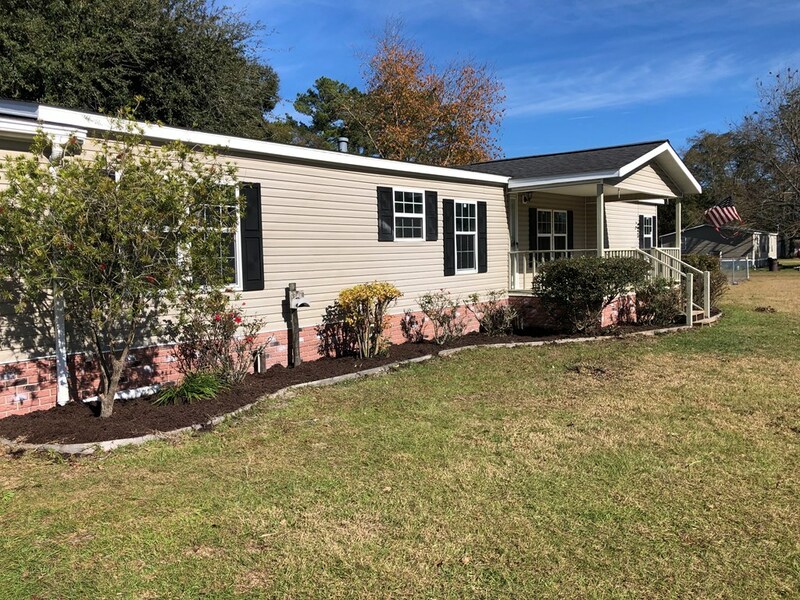 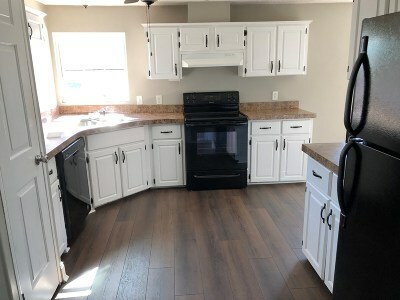 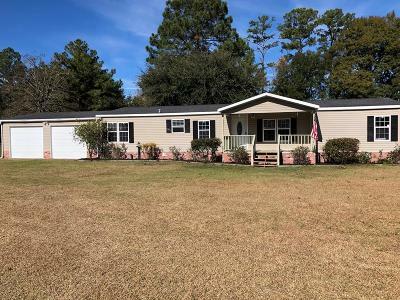 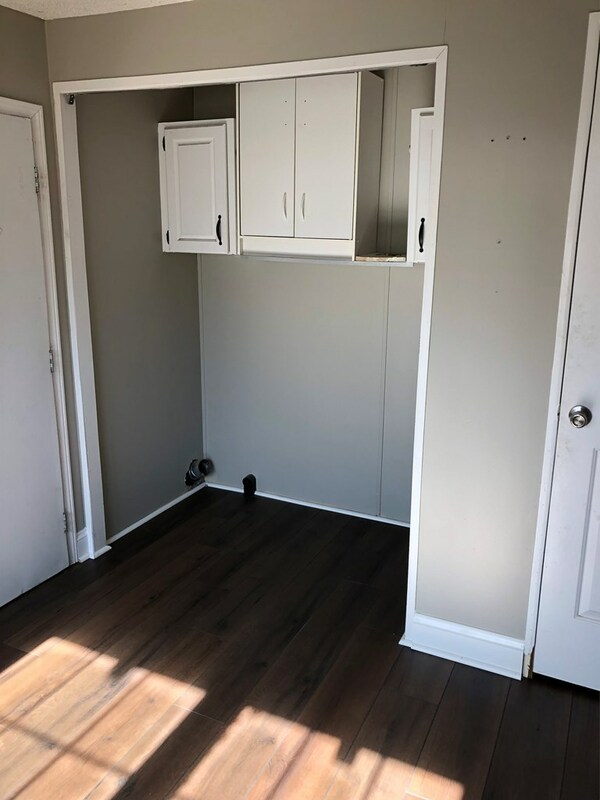 This is a fully remodeled mobile home situated on almost an acre of land in a quiet neighborhood. 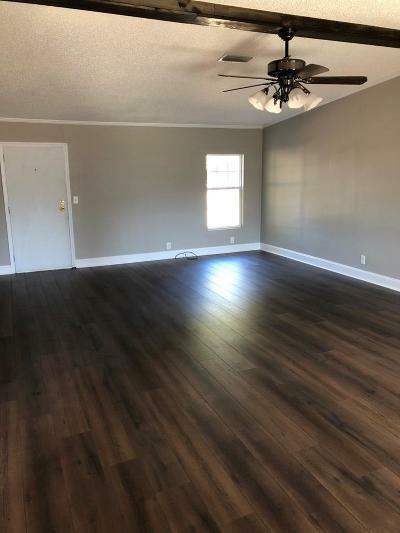 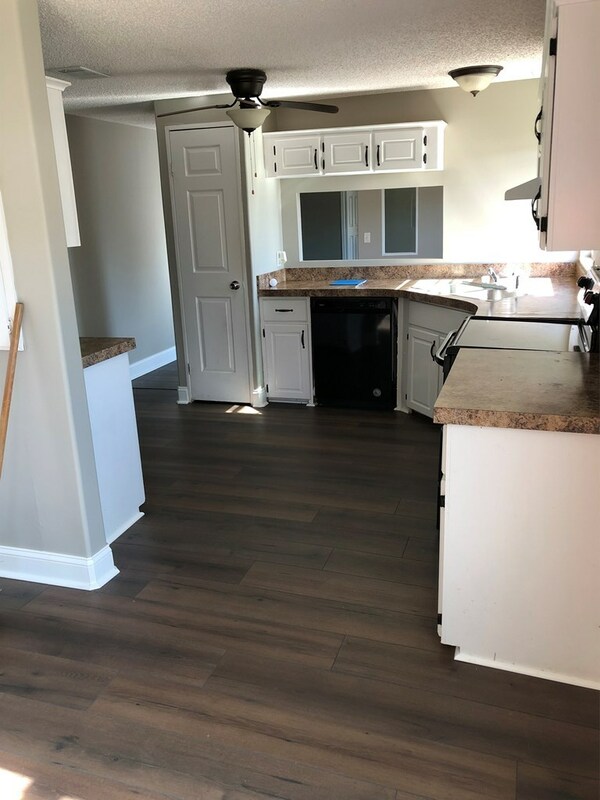 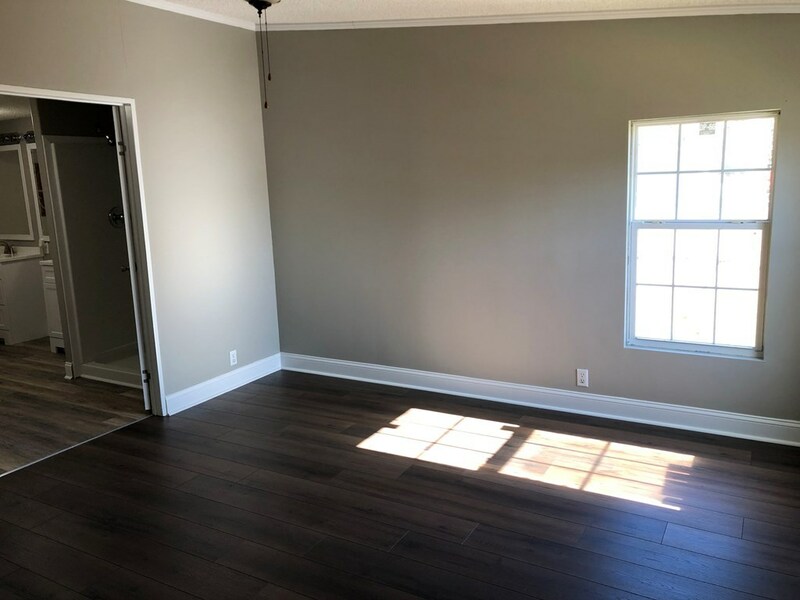 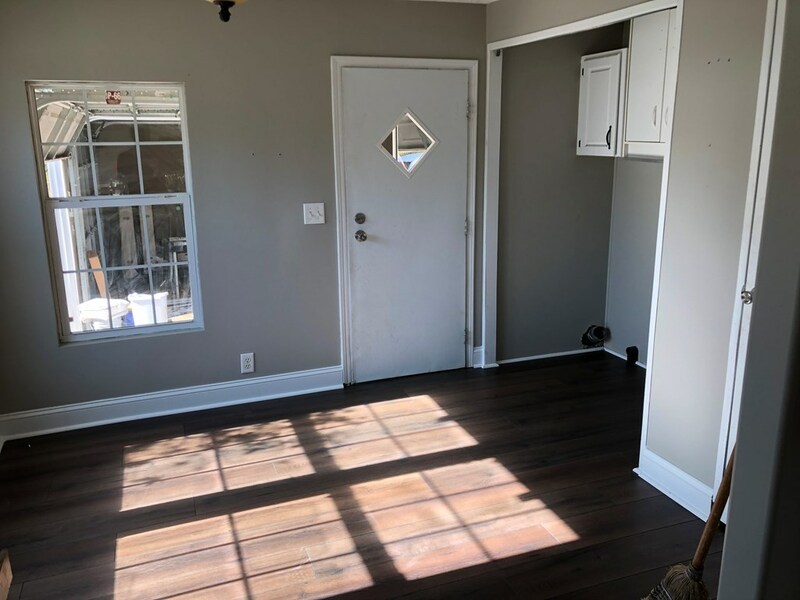 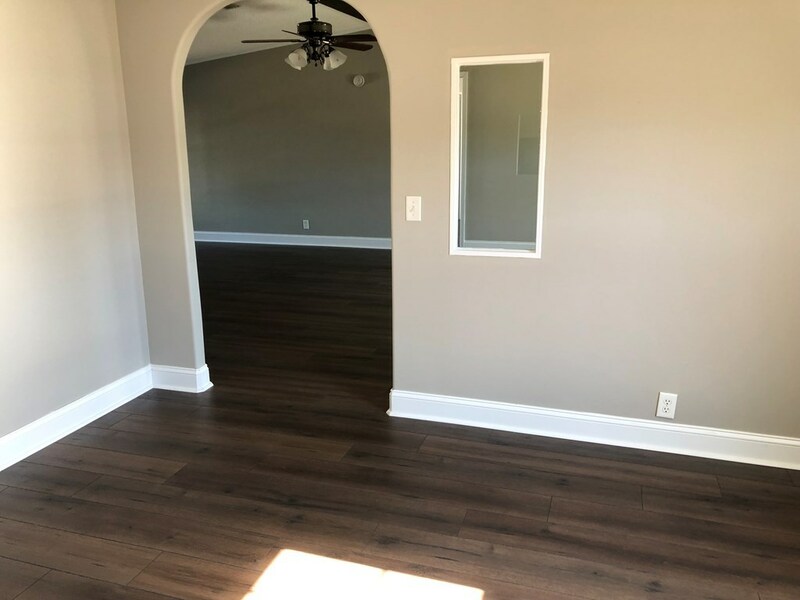 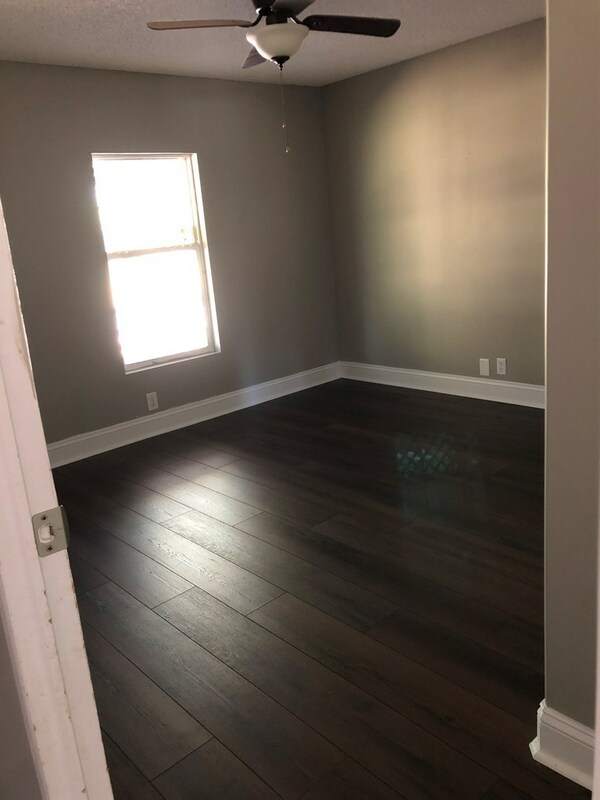 As you come through the front door you are greeted with new wood look laminate flooring throughout the living room and the rest of the house. 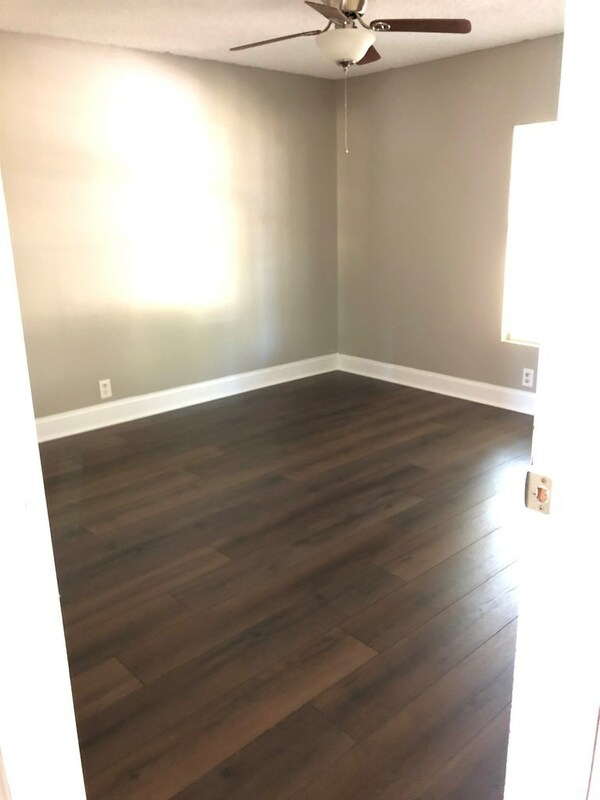 Complimenting the rich laminate flooring is a wooden beam that stretches the length of the living room. 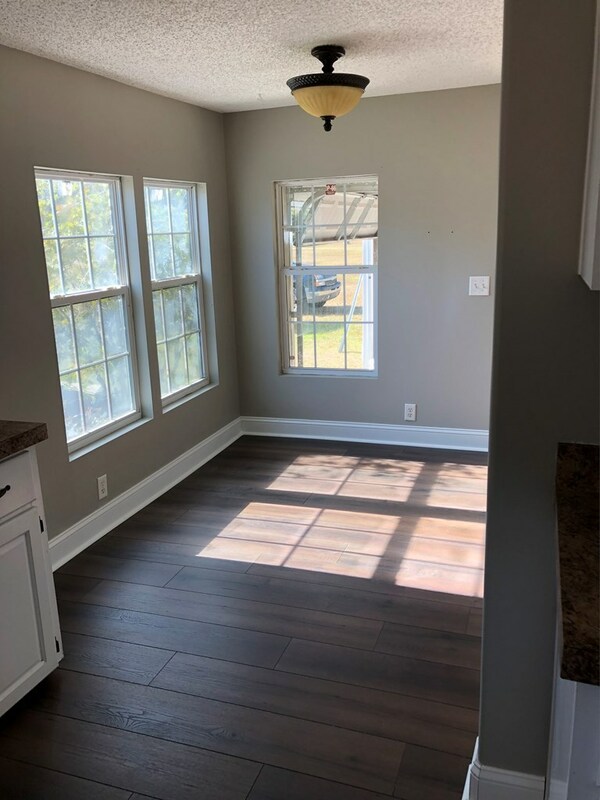 As you walk through the house you will notice new paint, beautiful molding and trim, and a split floor plan that most buyers dream of. 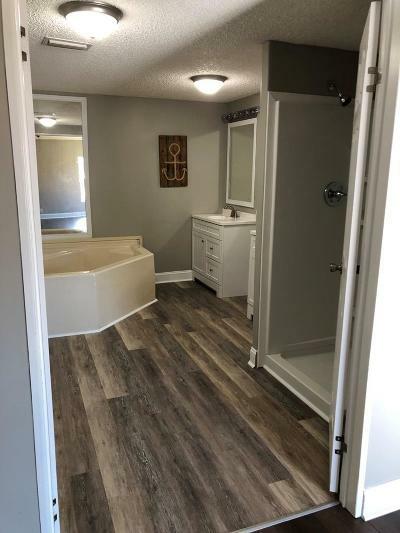 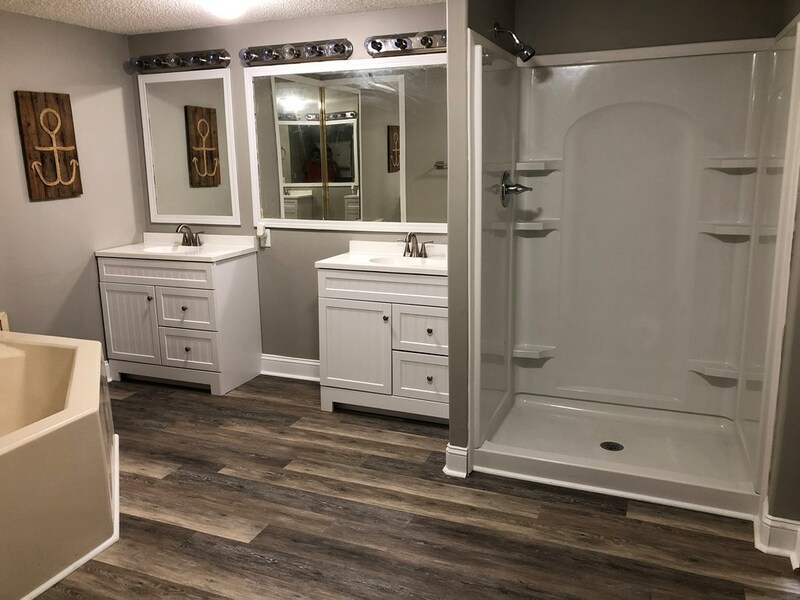 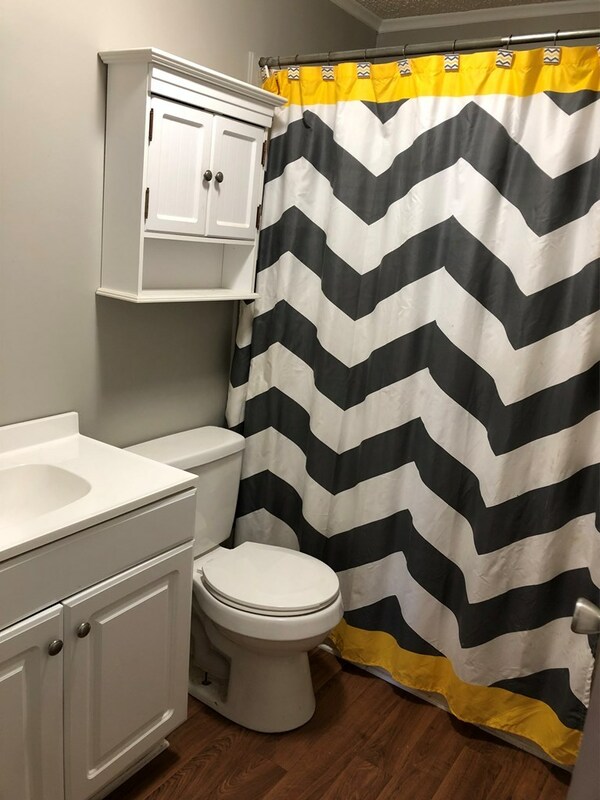 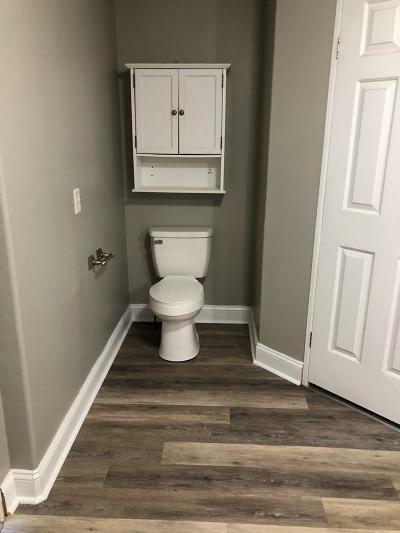 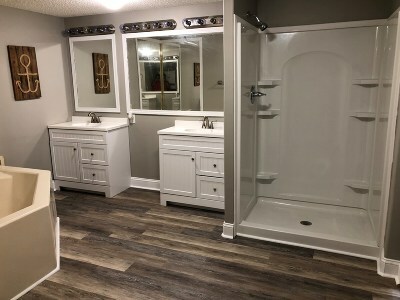 Off of the nice sized master bedroom you are greeted with a remodeled bathroom that offers separate vanities, abundant lighting, garden tub, new shower insert, and new luxury vinyl flooring. 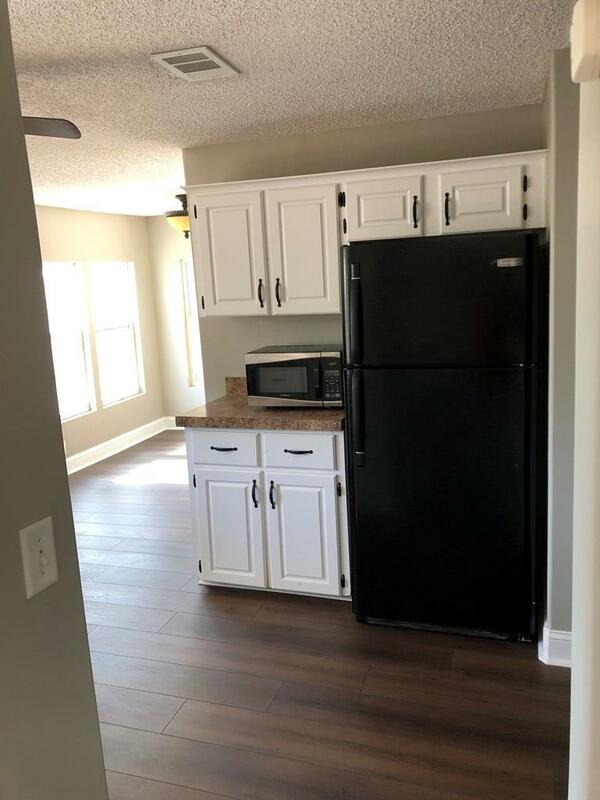 The kitchen offers an airy feel with white cabinets, neutral paint, and plenty of natural light. 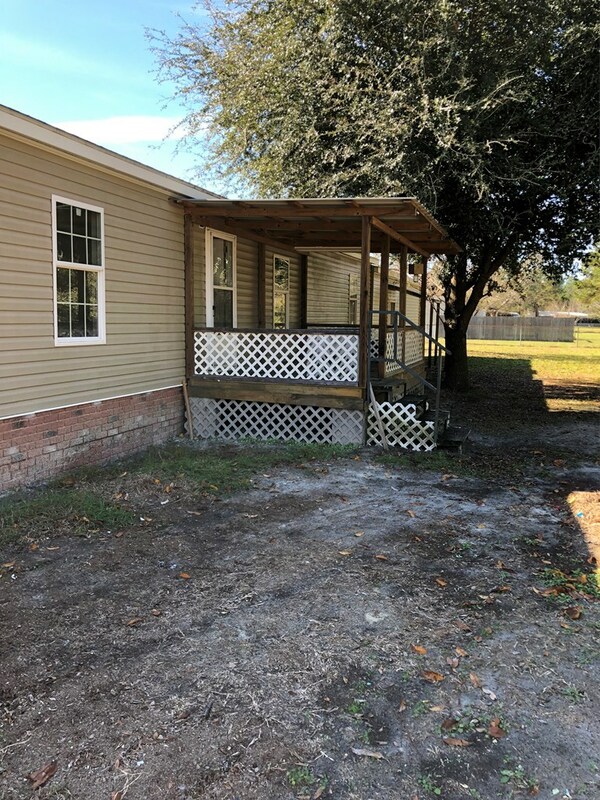 Enjoy your evenings on the porch overlooking a large fenced in yard with room for any amenities you might desire. 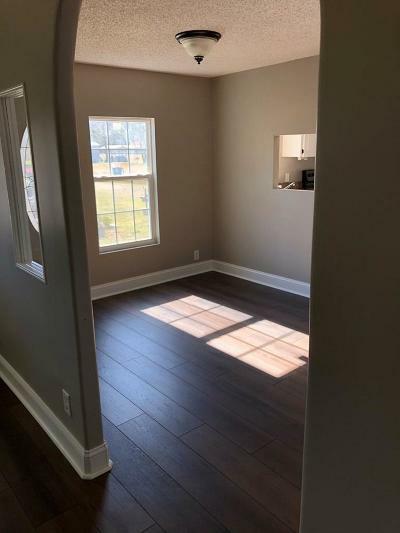 To accompany your tour you will notice fresh landscaping, an attached two car garage, and indoor laundry.